The famous Oceanside Harbor Parade of Lights is coming once again to our town! 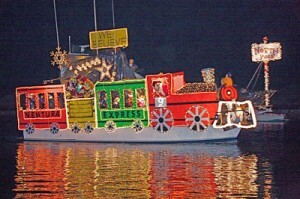 Boats of all sizes, decorated in holiday lights and ornaments circle Oceanside Harbor, California while onlookers watch from the beach, Oceanside Harbor, surrounding restaurants and boats. It’s also a great time to party, have a beach fire and celebrate. Guests at our private ocean front beach rental, within walking distance of the harbor, avoid the hassle of getting a parking spot, which are almost impossible t o come by. We just love this parade and look forward to it every year. 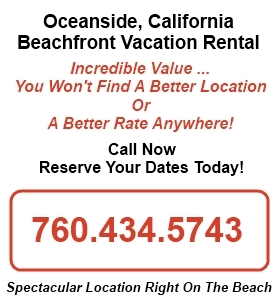 This is always a very busy time for us at our Oceanside beach rental and our guests really enjoy this parade. Especially the Snowbirds – beach, surf, sailing and sun. Have you ever seen or participated in this parade?